Multi-platinum and Billboard chart topping sensation gnash discusses the healing power of music, John Lennon, and his own intimate & heartfelt debut album ‘we’, an inspiring soundtrack for feeling better. gnash is a dreamer with stars in his eyes, and those dreams are coming true. Released January 11, 2019 via Atlantic Records, we is the long-awaited culmination of gnash’s first chapter: A period of time during which the young Los Angeles native rose, seemingly out of nowhere, into a multi-platinum and Billboard chart topping sensation. Gnash released his debut EP U in 2015, followed six months later by me, after which came Us. Each successive record brought with it evolutions in his production and songwriting talents, finding him exploring a range of intimate emotions largely related to heartbreak, love, togetherness and loneliness. 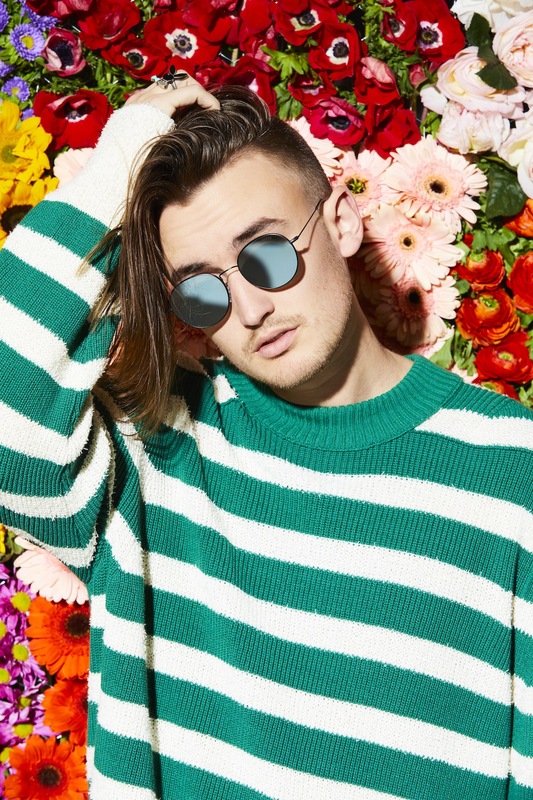 2016 saw gnash’s breakthrough via his song “i hate u, i love u” with Olivia O’Brien, which went on to spend 39 weeks on Billboard’s Hot 100 chart, peaking at #10 and going 4x platinum. Building upon the successes of u me, and us, we fully realizes the breadth, intimacy, and thoughtfulness of gnash’s unique artistry. He dazzles through a slew of creative and catchy songs that dive into the deepest places of the soul. I want people to feel a rollercoaster of emotions and feel better by the end of the listening journey! “dear insecurity” is an impassioned outpouring of the heart and an incredible representation of gnash’s artistic acumen. It’s just one of the many gems awaiting those who listen to we. Atwood Magazine recently spoke to gnash about the inspiration and importance of we and its songs. Dive into this special musician and his stellar artistry in our exclusive interview below, and join him on the broken hearts club tour, going on now! Atwood Magazine: Thanks so much for taking the time today, Garrett! How has it felt to finally have your debut album out in the world? Gnash: Dude, it has felt fantastic! I am thankful every single day that is out. I am so happy to be playing the new songs out on tour. People come to the shows and know the words already and that’s cool because, you know, they’re songs that I just made – so I connect with them so much. Of course, I connect with all the tunes and people connect with all the tunes, but I’m just really grateful that the new music is out. It’s music for people to feel better by, and that’s why I do what I do, so I am exuberant to say the least! I love that you call it music for people to feel better by! The saying goes that you have your whole life to make your debut album, and with three previous EPs under your belt, you took your time – so, why now? What is special about this moment, and these songs, that finally made it time for your debut album? Gnash: It was time to make we because I thought that we needed some new feelings to feel. I think that a lot of the time – at least I did – I was feeling a lot of things that I needed to write about. All the thoughts, or all the things I wrote about on we, are things I thought we could all feel together, because if we feel together then we’ll feel better. And so we is a bunch of thoughts or feelings I thought we could connect with, because I’m grateful for what I do and I’m thankful every single day. I think that it was just time for some new thoughts and feelings to be out there floating around for people to connect with. I don’t know – it just felt like the right time! It’s hard to explain the feeling of when it’s time to make music, but it just feels like it’s right. And so I worked on it for a couple of years, and I knew it was done when I finished “dear insecurity,” and then I put “p.s.” on as a little final note on it just to cap off the end of the album, and I don’t know – it just felt right! I worked on it ‘til about a week before it came out, so I knew when it was done, and that was the time for it to come out! It's so powerful that you were really working on it up until the very end; so often I speak to artists where they finished the music at the end of one year, but it came out 12 months later because of marketing and promo. Despite the fact that you are signed to a major label and did have an extensive promo period, this was still a work in progress! Gnash: Yeah, I would say so! I’d say the cool thing about that is, I as a person am a work in progress. I think that the album reflects that, and that’s why the cover is a garden – because I like to believe that every song is a seed for somebody else’s flower to grow. And every song has a flower. And it’s a beautiful time – I’m just so grateful to have new music out because on this tour especially I’ve been able to play all the songs… But yeah “work in progress”-wise, it was definitely a work in progress. I think my A&R knows better than anybody; I became totally obsessive over timestamps. So for example, “p.s.” is 1 minute and 43 seconds long because that stands for I love you in Mr. Rogers’ language, and in my family’s language growing up. And so it’s P.S. I Love You. There’s six seconds of silence at the beginning of the album in “happy never after” because I was born in June, and there’s 16 seconds of silence and “waves” going into “p.s.” because my birthday’s June 16. So the album’s capped by my birthday! I really went in on every single thing about this album and I’m extremely proud of it. This is really your debut album, because people don't do that for number two, three, and four! Gnash: I think I might, but I also might just start popping songs out kind of like what I did previously. On u, me, and us, on u I really took a lot of time, and then on me and us I kind of just put songs out and then compiled them into EPs. So maybe I’ll do that moving forward, but I have a feeling when it comes to my albums, I’ll always be pretty specific about the story, and the mood, and the feeling, and the journey. I want people to really – you know, let’s say they buy that vinyl and they listen to it at song one to eleven with a couple bonus tracks on the end there. I want it to be a musical journey; I want people to feel a rollercoaster of emotions and feel better by the end of the listening journey! I’m a true believer that everything works out how it’s supposed to. I love that! So, we follows in the footsteps of your EPs U, Me, and Us. What attracted you to this theme of exploring relationships in the first place, and how soon into the process did you have the album title? What is its significance? 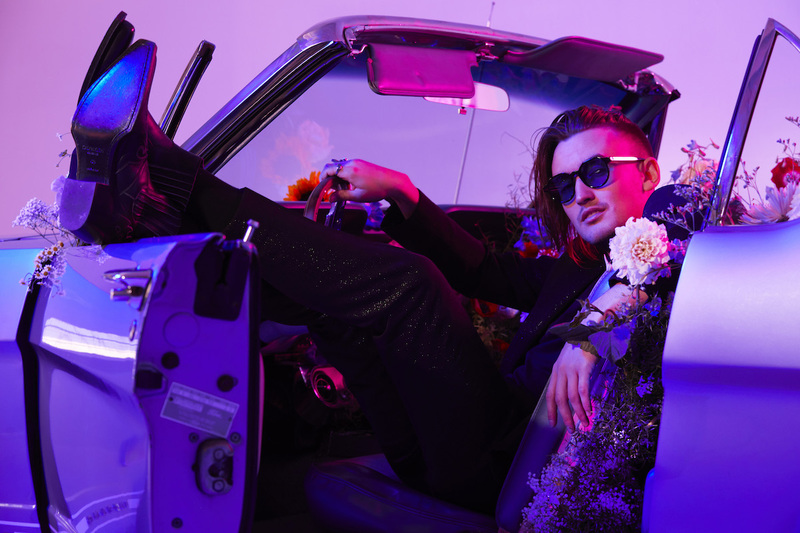 Gnash: I was in my first serious relationship, and I experienced my first real breakup, and I was inspired to make the three EPs u, me, and us be about that. I kind of knew the titles from the outset, and then over the next while I aimed to put out one project every six months, and then I promised myself that by the end of that I would be over it and I would move on best I could. Then moving forward from that, I knew I wanted the next one to be called we; I always kind of had that feeling. I didn’t really know much more beyond that, but I always worked under the umbrella – every single song – I knew that it would end up on an album called we when I started working on the project. What was your musical upbringing like, and do you have any artists or acts you’ve tried to emulate in your own artistry? Gnash: I’m from LA, and neither of my parents are professional musicians, but both of them play casually. I was raised on the Beatles and all the classics, and I personally always chose to listen to things once I had my own car and my own iPod and all that stuff. I would listen to anything between Bright Eyes and Death Cab for Cutie, all the way over to a little bit of Jack Johnson – just a lot of mellow acoustic guitar stuff is always kind of what I leaned on. And then at the same time I started DJing and so I would do parties, and that required a lot of, you know, “fun stuff” – so hip-hop records or party songs. And so that’s kind of where I grew up, is somewhere between all of those things – and I think that that’s really well reflected on we. Speaking about other acts and artists, do you have any artists or acts you've tried to emulate in your own artistry? Gnash: I’m a huge John Lennon fan, and so I think that musically and message-wise what he was doing in the era of “Imagine” is something that I think social message-wise and ripple effect-wise was a really beautiful thing. And so I think that that’s something I was really inspired by going into we, and now it’s something that we’re doing every single night on the ‘broken hearts club tour,’ where we get everybody together and we talk about how we feel, and by the end of the night we walk away feeling better than when we walked in. That’s something that I always want to carry through everything I do, and that’s a direct inspiration from John Lennon. I’m really grateful that he existed, and exists. we begins with the song “happy never after” and its lyrics, “Once upon a time, I still believed in myself, I was happy being me and didn't need any help… And then somebody that I trusted crushed the feelings I felt. I guess a happy never after was the deal I was dealt.” I feel like this really sets the scene to the songs to come, as you talk about love, heartbreak, connection and separation. Why open like this? Gnash: Yeah, I think that it opens kind of like a storybook. I was a big “Shrek” fan growing up, and so once upon a time, you know when the book opens? And you go into the story… I just thought that that was a cool way to open it, kind of like a fairy tale. And then the idea obviously happy never after in that song is that the end line is, “Yeah, we’ll never be we,” and then the end of “p.s.” is “we’ll forever be,” because what I learn in the album is that no matter where things go (it’s kind of the message in the song “be”) – no matter what, we’ll forever be we. And so that’s the point of the album to me, and that’s kind of the headplace I’m in, and the headspace I was in when I was writing the album. I think that’s a really nice way to set that story up for people to jump on the journey with me. The gut punch comes at the line, “The story that'll never be we.” Funnily enough, this album is that story. Is this your album’s “thesis,” so-to-speak? Gnash: Kind of, yeah – but then the resolution at the end of “p.s.” is that we’ll forever be we. That’s the journey – he kind of starts to figure out who he is by the time you get around to “dear insecurity” and things like that, and “be” is obviously a love song… I want people to interpret their own perception of it because I’m not one to tell people what the story is necessarily in my head; I want people to kind of make it their own journey, but I think that the story of the album ends up being that it works out how it’s supposed to, no matter what. Because I’m a true believer that everything works out how it’s supposed to. I appreciate that. Writing about love and relationships can be the easiest, and also the hardest thing for a songwriter to do – because the story comes so naturally, but it can be so difficult to be original in that field. How do you approach this question? Gnash: I just write about how I feel, and I help people connect with it. I know that it’s a light answer, but if I had a formula to how I do it I would share, and I’m still trying to figure out what that is because then it wouldn’t have taken me two years to make the album! I don’t know if that really helps to answer the question! One of the things I'm really struck by is the honesty in your lyricism. It really feels like it comes from the heart. The difficult thing so often, especially writing songs about love and breakups, is that it feels like they've all been done before. And yet for me, I hear this record and it feels fresh. And so, when I go into work, that’s the beauty of doing co-writers and working with other people too: You kind of get other people’s opinions in the room when you start to listen, and then the other really beautiful thing about this album is that, because I had so much time touring, and then I took some time to make the new music, I really believe that the people I engaged with and interacted with and would meet and hear their stories and talk to them about how my music has helped them, all of that was helpful for me in making the new music! Because I was able to say, “What do people really need to hear?” And that’s why the album this is “we,” because I really like to believe that it’s something that we did together and now we’ll feel better! And I think that’s a beautiful thing. So I think all of that inspires me, and I’m constantly inspired by people who care; that’s what inspires me to write, and then try to come up with new ways to do it! It sounds like you really have a strong connection to your audience, and I love that! You’re welcome! I don’t like using words like this, but many of your album’s singles have gone on to be “streaming sensations” – from “imagine if,” to “the broken hearts club,” “feelings fade” and “dear insecurity” with one of my favorite Australian artists, Ben Abraham. Which, if anyone of these, has surprised you – and what new album songs, if any, do you hope reach the same number of ears? Gnash: I think “dear insecurity” is really important for the most people to hear, because it means so much to me and it’s a bunch of things that I think about on a daily basis. I hope that “t-shirt” gets out there; I hope “imagine if” gets out there, I hope “broken hearts club” gets out there, “pajamas” and “insane,” “be,” all of them! But to me, “dear insecurity,” it’s really important that people hear that one to me, because I think that a lot of people can be really helped by it and feel better by it. Are there stories you've chosen to hold back or intentionally to share because of their intimacy, or because you feel they're so important to tell other people? Gnash: Well I think everybody has things that they keep personal, you know. But I think that on “dear insecurity,” I was as transparent as possible about the things that I think about on a daily basis that start to drive me a little bit crazy. “insane” dives a little bit deeper on that… and then “pajamas,” you know, just wanting to forget about everything and hang out in our pajamas. I think the whole thing kind of has a whole nice little journey to it… but personally, “dear insecurity,” if there was one I had to pick that I would like to be able to play for everybody and really feel how that makes everybody feel, I think “dear insecurity” would be that song. If there was one I had to pick that I would like to be able to play for everybody and really feel how that makes everybody feel, I think “dear insecurity” would be that song. Would you also call that your personal favorite on the album as a result? Gnash: I think I have a bunch of different personal favorites; I think “pajamas” for the feeling of it is one of my favorites. I think “be” is one of my favorites, just writing-wise I’m really proud of that; I wrote that with Justin Parker and he’s fantastic. I really love “insane,” just because I’m a big fan of things that vibe like that; I love the way the ukulele sounds on it. I’ve got so many personal favorites, but “dear insecurity” is definitely up there in a message sense. One of the striking things about we is how happy and bright its songs are, despite the often negative or dark lyrical content. Why take this happy-sad song approach? Gnash: Thank you! Well I appreciate that, and happy-sad is my little label and what my stuff comes out through, so I’d like to think everything kind of balances between the two. I really appreciate you noticing that! I think it's a really powerful aspect of your music. So, to tie everything back to your artistry… One of the one of the things I admire about you is how you really have defied what people think about a singer/songwriter! Your music is unique to you, and I think it's incredible how you’ve been able to make songs that defy genre and definition. How do you personally describe your artistry to your family members, and what do you internalize about your music that makes two gnash songs so similar to one another? 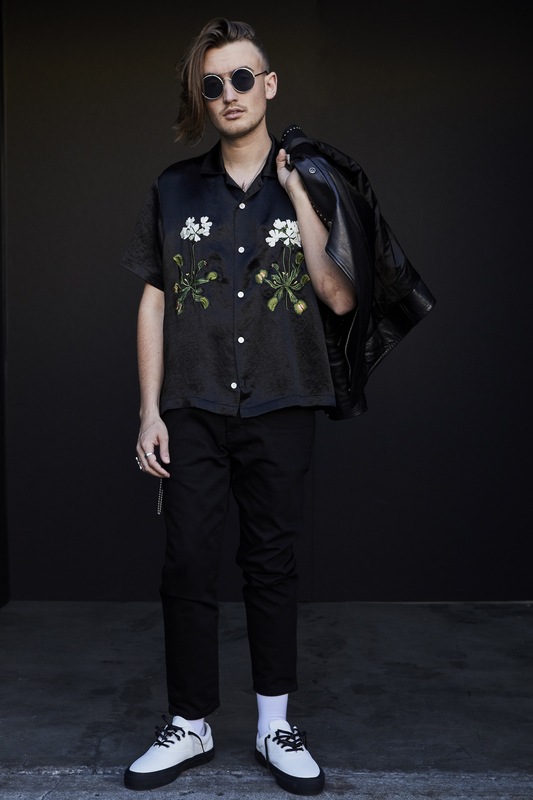 Gnash: Well, one important thing is I write everything at home for the most part, and I think that that helps – wherever I am calling home at the time is gonna be influential to the way the songs sound. I think that for me, as long as I’m interjecting honesty and love and trust and gratitude into every song I write, I am Garrett, and I am proud of who I am, and I think that those things will always ring true from song to song. It’s not really a conscious decision for me when it comes to that; it’s just kind of, I am who I am, and I’m thankful that people appreciate it. Garrett, thank you so much for talking to me about this album. 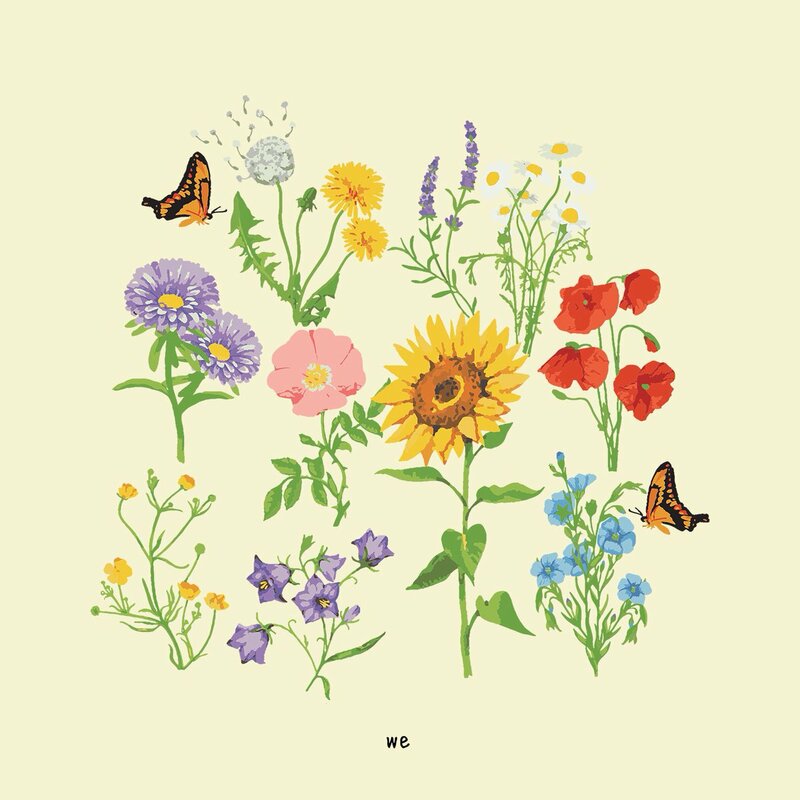 Are there any final thoughts or things that we should sort of share about people who are either just discovering gnash now, or who are going to listen to this record for the very first time? Gnash: I’d just like to say hi, I’m Garrett, I love you, and I hope you love my album! And if you want to come be the newest member the Broken Hearts Club tour come hang out, but either way if we feel together then we’ll feel better, and I do believe that, and I hope I get to give you a hug soon – and I love you.